The Official Home of NOPAL: Stickers!! The Stormtrooper Boombox and Boba Boombox designs have finally arrived - in sticker form! New to the shop are a Dark Side two-pack and a 6-pack sampler pack. 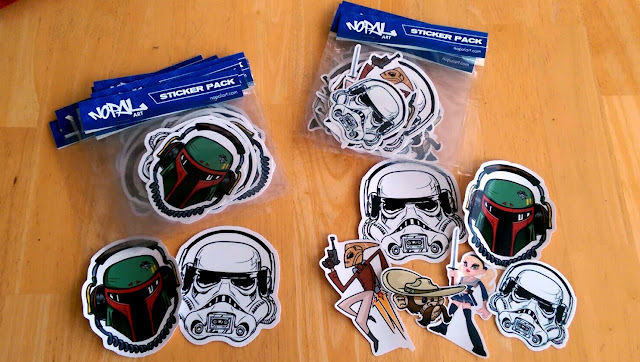 The sampler pack includes: Stormtrooper Boombox (large and small), Boba Boombox, The Rocketeer, Baby Doll from Sucker Punch, and Chimp Bandito.